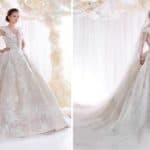 Is your wedding coming soon? 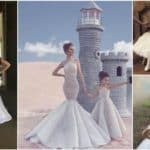 You probably all know that the bride should wear something old, something new, something borrowed and something blue at her wedding day, so pay attention to all of these small details that are really important on the big day. 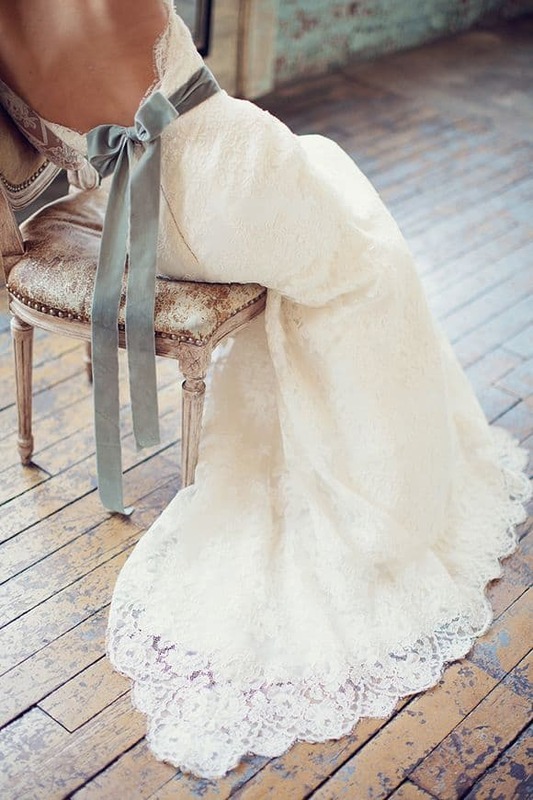 Brides incorporate all of the above mentioned details in their looks and continue the tradition that comes a long way. If you don’t have any idea about incorporating that something blue in your look stay tuned and get inspired. Check out the Wedding Guide: Something Blue Ideas and see how to add some color to your all-white traditional look. 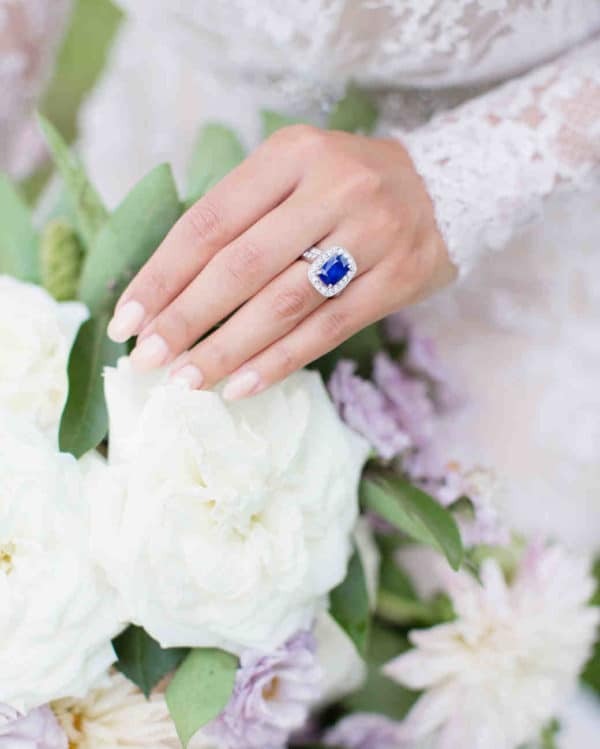 When you first think about adding blue details to your wedding dress, it may sound tricky and difficult, but in fact it’s super easy and fun. 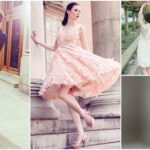 Add a blue bow or blue tulle to your dress and have a unique and different look. 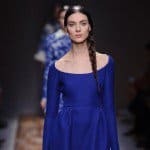 You have lots of possibilities when it comes to blue jewelry, so consider a blue ring, earrings, bracelet or a necklace. Anything you like! 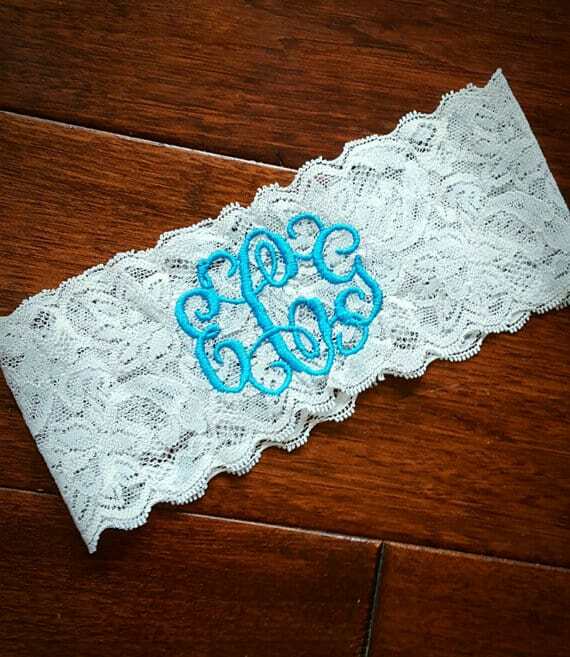 Embroidering your initials, the wedding date, I do or anything else on your dress or underwear is totally acceptable. If you don’t want anyone to see the blue details this is the perfect option for you. 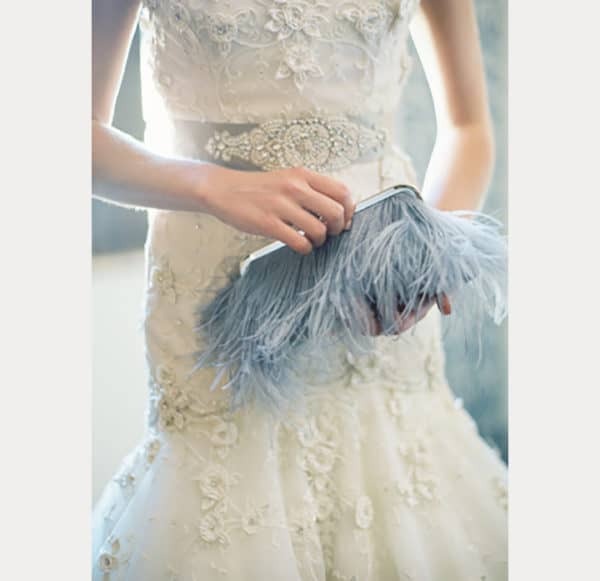 Get yourselves a blue wedding clutch and break the monotony while adding an interesting vibe to your look with ease. Plus, you can wear it after the wedding too with other of your outfits. 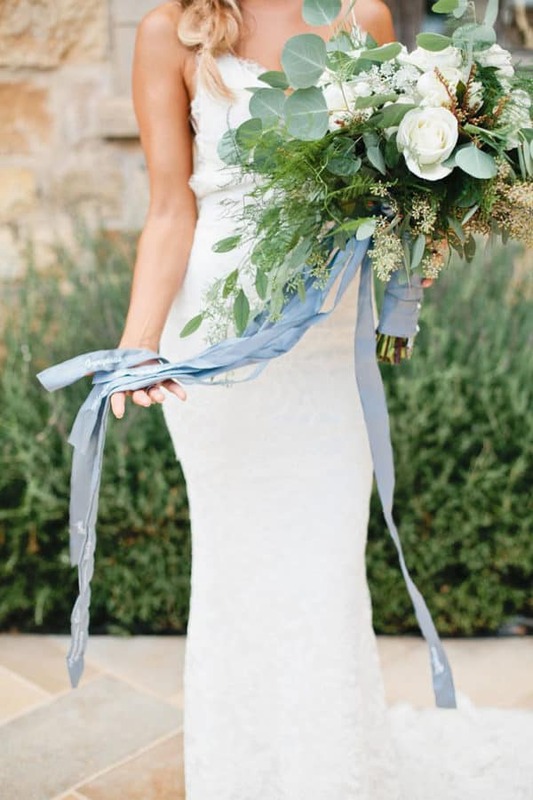 Does the flower theme on your wedding day included the blue color? 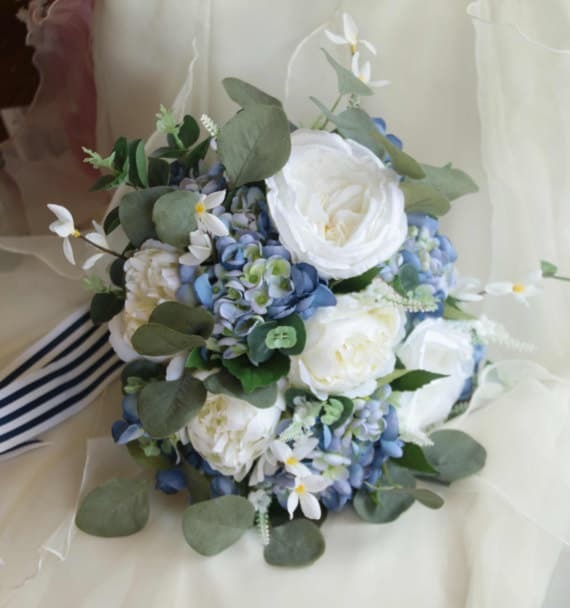 If yes, add some blue flowers in your wedding bouquet or just decorate it with a blue ribbon. Having no clue how to incorporate the something blue in your look? 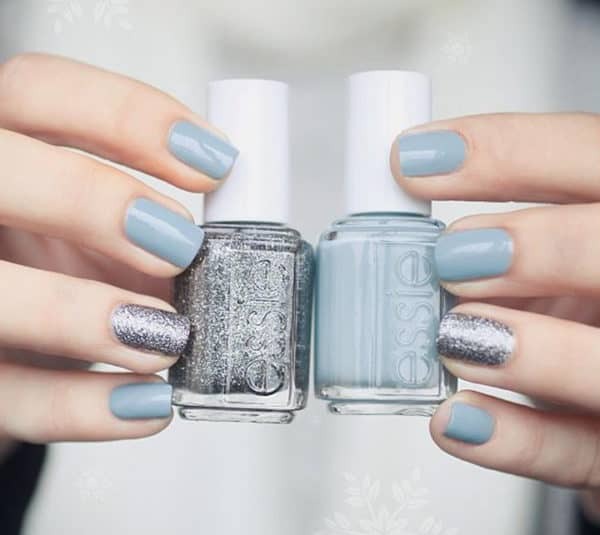 It’s the perfect time for a blue manicure! 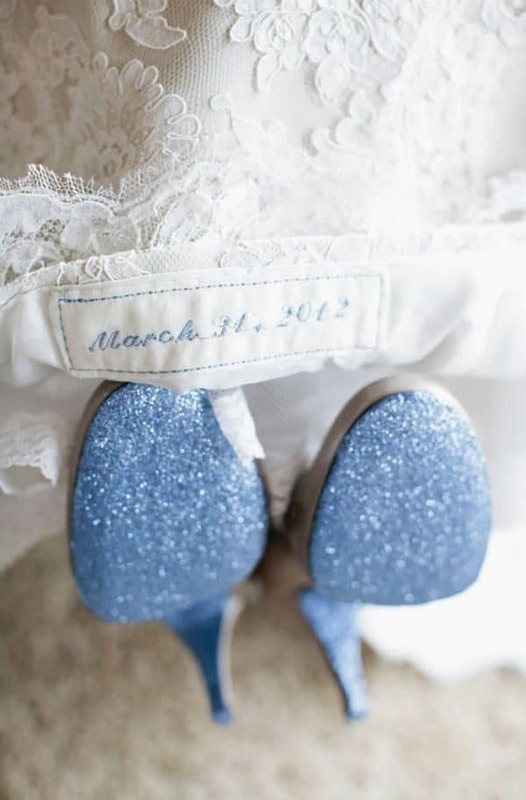 Lots of brides decide to wear blue shoes on their wedding day. If you are not up for the blue-shoe look then just add a dash of blue on them at least at the bottom of them. 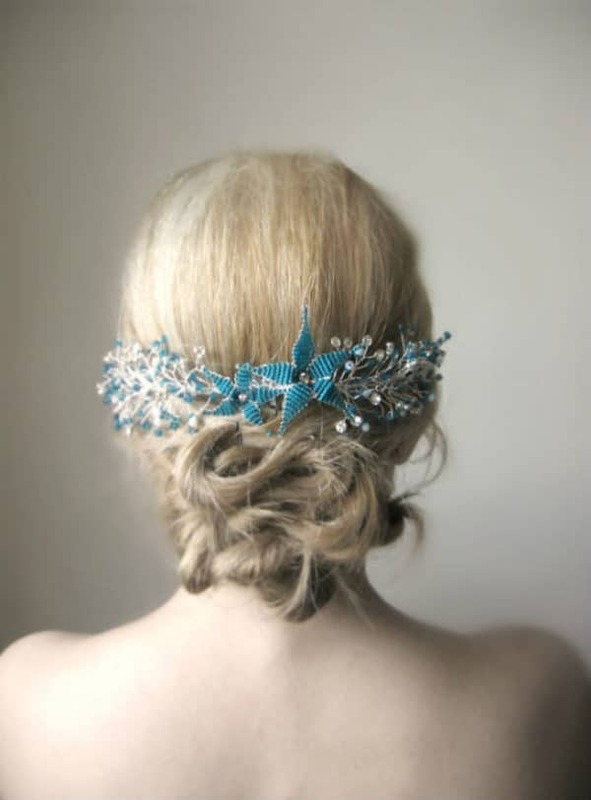 Add a blue hair accessory in your hair and you are ready to go! 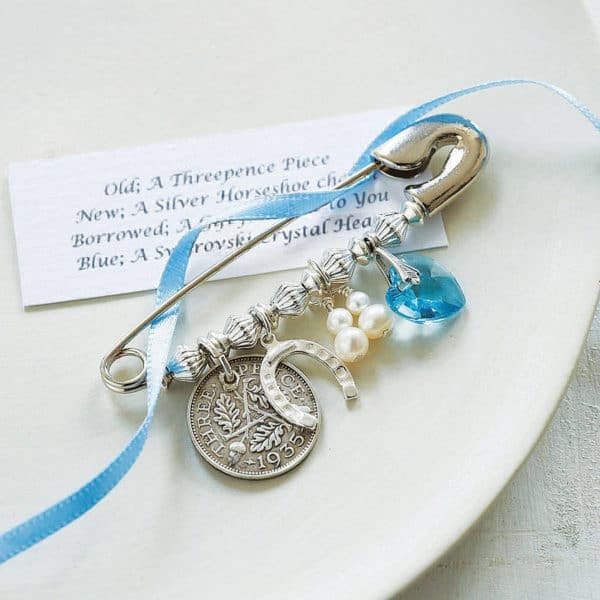 This charm incorporates all of the four: the new, the old, the borrowed and the blue! It’s a wonderful way to combine all of them in one. 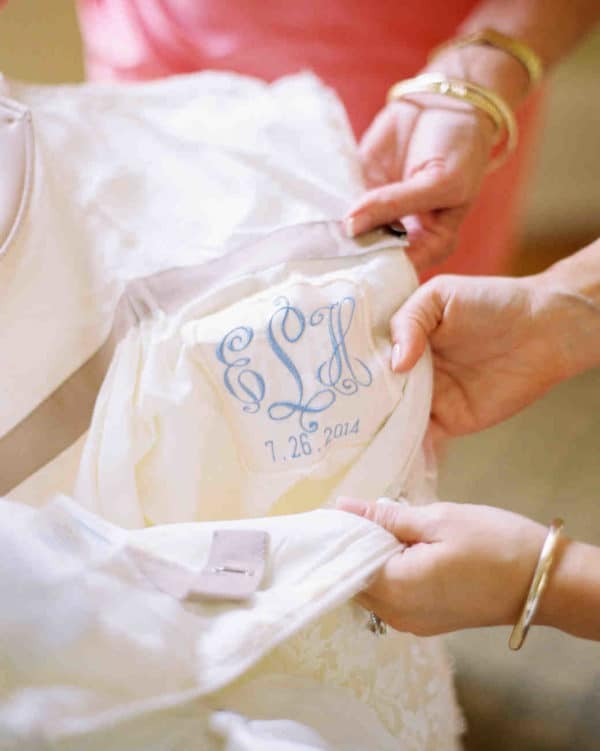 Just pin it on the inside of your dress!